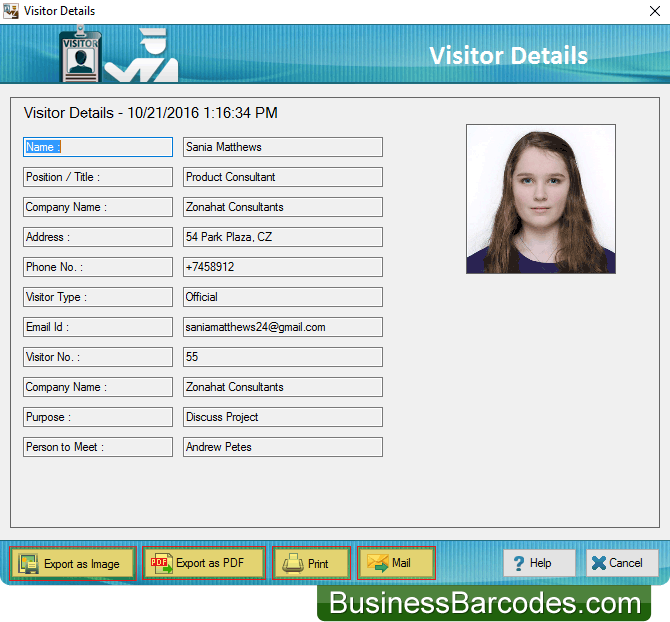 Enter all required details which you want to show on your visitor ID card. Click on 'Browse' button to browse the path of captured image of visitor or you can take photo of visitor by clicking on 'Camera' button. 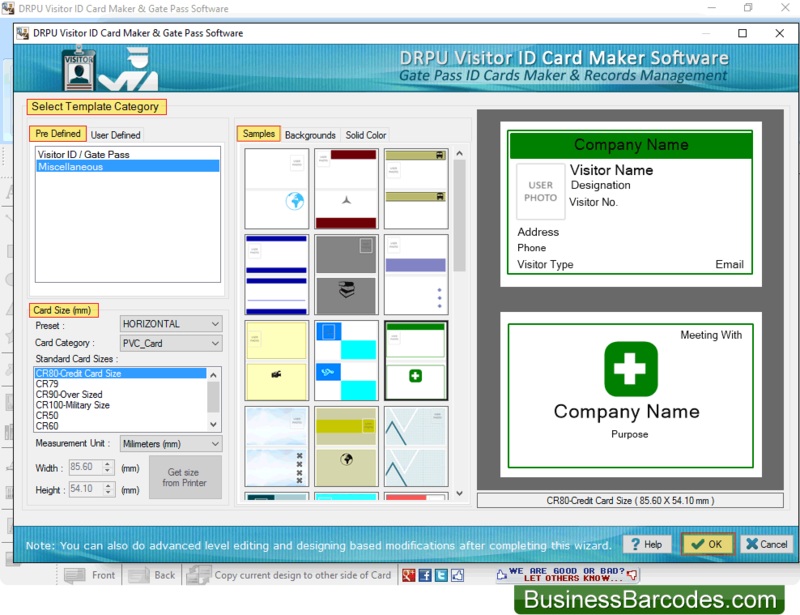 Here, You can see Back Side of visitor ID Card. Here, You can see all visitors records. 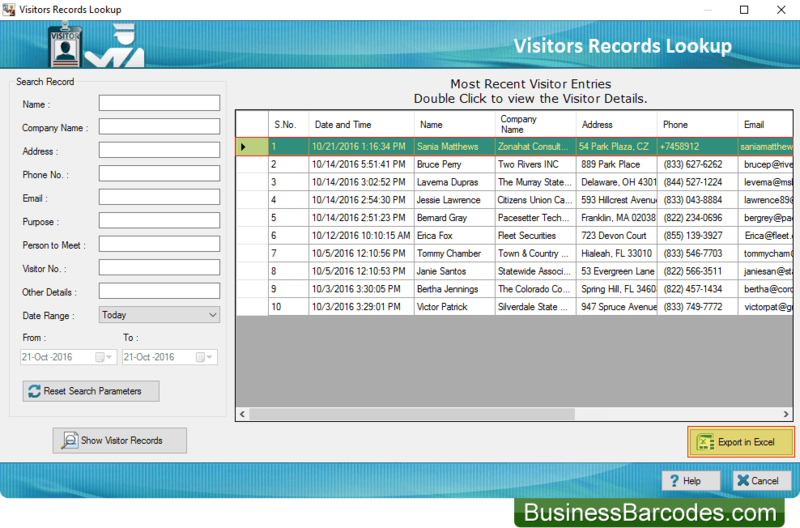 To view particular visitor's details, double Click on that visitor record in list. 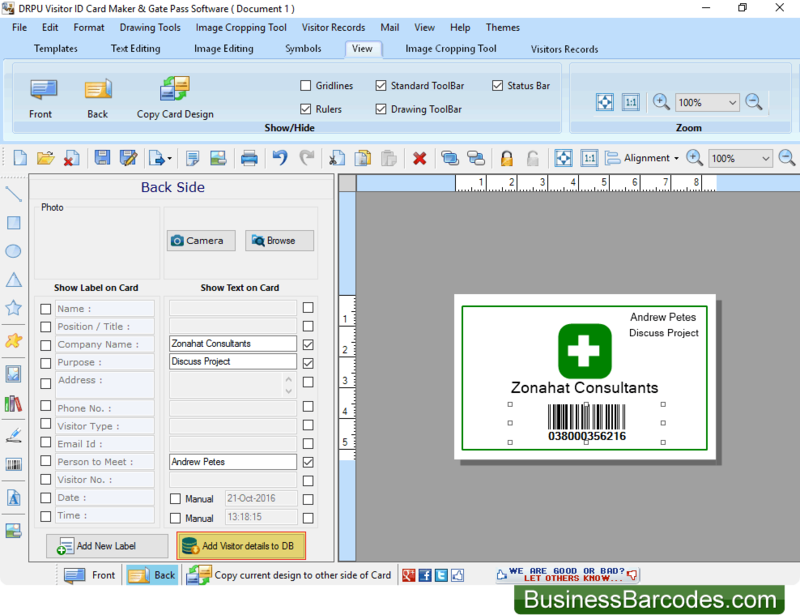 You can also Export entire visitor records using "Export in Excel" button. Here, You can see particular visitor details. 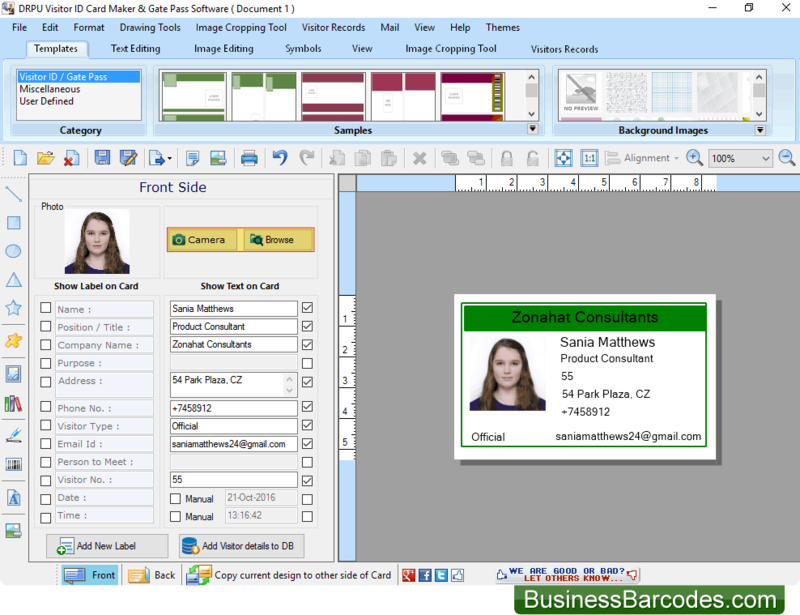 You can Export visitor details as Image and as PDF file formats. 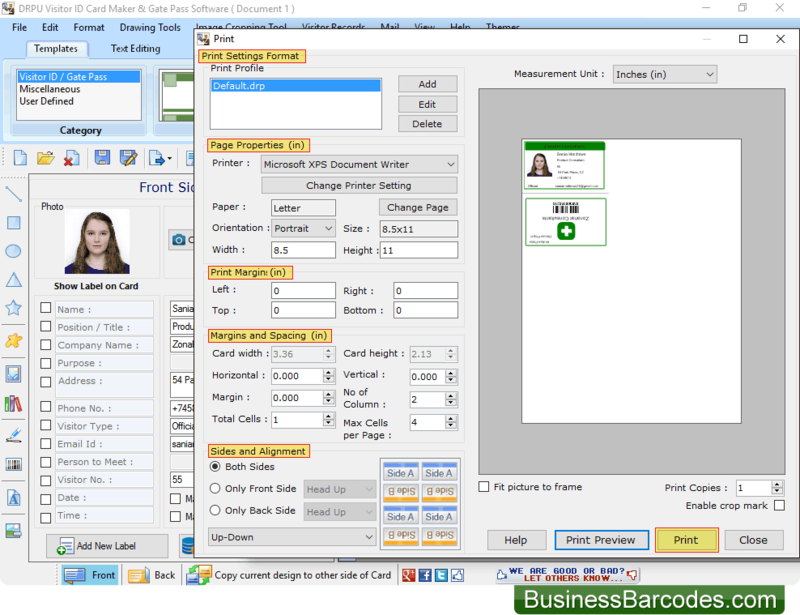 To print designed visitor ID card, Go to print button in toolbar, set all printing settings and Click on 'Print Button'.